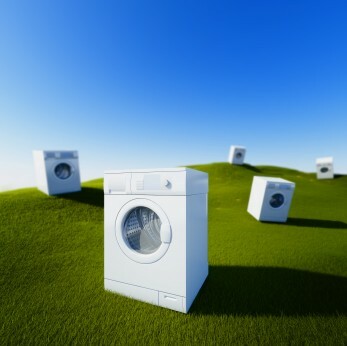 Clothes washers and dryers are the two highest energy-using appliances in the average home, after refrigerators. There are both technology and behavioral opportunities to increase the energy efficiency of clothes washers and dryers. Technology options include axis configurations and improved spin cycles for clothes washers, and heat pump clothes dryers. Water efficiency is another consideration with clothes washers, as improved water efficiency may help to increase energy efficiency. Research, policies, and programs related to laundry can be found in the links below and to the right. For specific efficiency tips and guidance on laundry, click here.